Maybe you’ve decided it’s time to bring the family business into the 21st century, or perhaps you’re preparing for the grand opening of your hot new tapas joint. Whatever your reason, there’s never been a more critical time to develop a loyal and substantial online following for your restaurant than now. From getting social media followers to maintaining an email distribution list correctly, you can pursue lots of options to take your business to the next level online. The Internet has come a long way from the days of MySpace and Napster. Nowadays, a vast variety of social media sites are out there for users of all ages. So, which is the best option for you to utilize to get the maximum amount of followers? Unfortunately, there’s no one-size-fits-all answer for everyone. When you’re The best option is to maintain a presence on a variety of sites while focusing on the ones that attract your target audience. For older crowds, this might mean a Facebook page with frequent updates about current specials or offerings. For millennials and Gen Xers, concentrate on Instagram and Pinterest. Whatever you choose, understand that there are several important rules for gaining (and keeping) followers. Present clear, correct, and complete information. People will visit your site to see what type of food you serve, your location, and operating hours. Beyond this necessary information, they will often look for reviews, contact information, and instructions on how to make a reservation. Any incorrect or confusing information will stand out, and not in a good way. If you have any reviews that are less than stellar, you need to know how to respond to negative reviews. Update often. Sites that have been inactive, that is, without updates or posts for a lengthy amount of time, do not show up in current news feeds. You will keep your followers more interested if you periodically post updates about your restaurant – this might include posts about special offers, specialty happy hours, or even a look behind the scenes to meet the staff. Be available. Facebook and other sites have begun to report on “response times,” or how quickly a page administrator responds. Lengthy response times will turn people away, while a short turnaround will show that your business is professional and courteous. If maintaining a single or several pages is too daunting a task, you may consider hiring someone to manage your social media accounts. Just ensure that the person you hire is familiar with your business and your vision for your social media presence. Social media is a powerful way to attract business, but along with a Facebook page, you’ll want to maintain an actual website to help advertise your restaurant. Before you decide to go out and build your site, it’s best to discuss your options with a professional web design company like https://darlingwebdesign.com so you can focus on other more critical tasks like managing your restaurant. It’s better to hire a professional that knows what they’re doing because you need to have professional brand look and feel with all the relevant information your customers are looking for. a basic description of your business. It should also have additional content such as instructions for parking or pictures of your food and menu. The information on your website should remain consistent; if you have updates about specials or unique deals, it should go on your social media pages or stories. Ensure there is a working link to your website on these social networks, should your followers want more information. 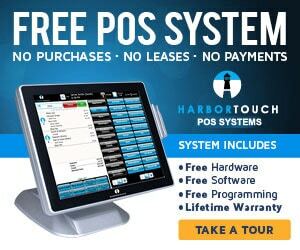 Additionally, you may want to add your menu on your website that connects to your restaurant point of sale (POS) software, so your customers can order online. Tip: It’s a great idea to complete your social media profiles and website before starting a new restaurant, however; it’s never too late to do so. On all of your sites, ensure that there is an avenue for followers to sign up and receive emails from your restaurant to keep customers coming back. Many people are already overwhelmed with the amount of spam they receive, so you can further entice followers by letting them know the frequency they can expect emails (once a week, or a few times a month). You may also offer them special deals exclusively available through your email list. Once you have an email distribution, be sure to follow up. For instance, you offer discounts by asking your customers to show you the emails they received. Make sure there is a way for people to opt out of your emails as well; it can be helpful for you if they can choose a reason why they opted out (for example, they’re receiving too many emails, they’re not interested in the product, etc.). If you find some followers are opting out due to receiving too much email from your restaurant, you know that you need to reduce the frequency you use your list. If you’re looking to increase your online presence and gain followers, start to branch out beyond the typical Facebook pages or Instagram stories and start a podcast or even your channel on YouTube. Topics might include what life is really like in the restaurant business, meet and greets with your staff or other professionals in the industry, or even your favorite recipes. Be sure to advertise on your other social media pages, so you can attract new people and keep your current followers interested. An easy way to gain a following is to collaborate with another business, a charity, or even another restaurant. That way, you can tap into their followers, as well as attract entirely new people. Consider holding a charity night at your restaurant and donating a percentage of the profits or hosting an office’s holiday party. You might even collaborate with the nearby businesses and local music bands to host a “block party” for the neighborhood. Ensure the attendees know your social media handles and that your privacy settings allow you to be tagged in their posts – this is an easy and free way to advertise and get positive exposure. In the event of a charity event or block party, you might consider talking to the local news agencies and inviting them to do a story. Most social media sites have made it extremely easy to do the initial page set-up. What will make your restaurant stand out from others is working hard to maintain your presence? You should strike a balance between keeping your restaurant on everyone’s front pages, without overwhelming them with constant updates. Those who can do this will find both their business and their online presence growing day by day.